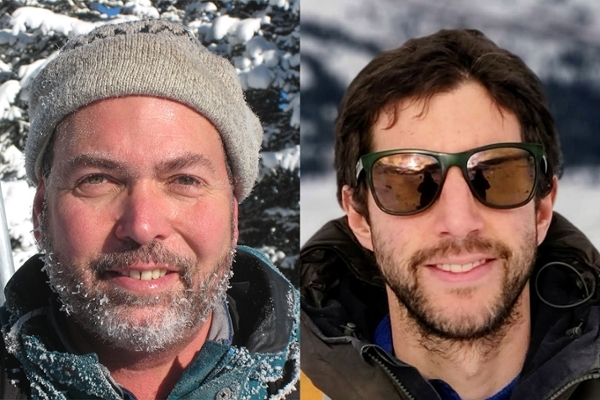 University of Saskatchewan researchers with the Global Water Futures (GWF) program have provided the first detailed projections of major water challenges facing Western Arctic communities such as Inuvik and transportation corridors such as the Dempster Highway by the end of this century. “There will be a tipping point reached over the next few decades, putting at risk communities whose infrastructure was designed for 20th century climate and hydrology,” said Dr. John Pomeroy (PhD), senior author of a recent paper in the American Meteorological Society’s prestigious Journal of Hydrometeorology. “Humanity has to act quickly and decisively to avert such a future, and that will involve reducing greenhouse gas concentrations and improving infrastructure to better withstand the extreme events that are coming,” said Pomeroy, director of the USask Centre for Hydrology and director of the USask-led GWF, the largest freshwater research program in the world. Researchers investigated the resilience of northern infrastructure such as the Dempster Highway to climate change, and the results are disturbing, said Pomeroy. Their findings suggest infrastructure may have to be reinforced and redesigned for anticipated larger floods and more intense hydrological events in the decades ahead. “This is a first-of-its-kind project that incorporates all the complex physical processes that occur in the Western Arctic, which has seen the greatest temperature increases in continental North America from climate change,” said lead author Dr. Sebastian Krogh (PhD), a former graduate student at USask’s hydrology centre and currently a post-doctoral researcher at the University of Nevada. The research team used new hydrological and climate modelling methods to predict potential impacts of climate change on Western Arctic water resources. Under a “business as usual” greenhouse gas (GHG) emissions trajectory over the coming decades, the region will be warmer by 6.1° Celsius by 2099, and see its precipitation increase by 40 per cent. The model is set up to predict what will happen to freshwater once it reaches the land as rain or snow. Krogh said hydrological changes over the coming decades will be intense. Permafrost will continue to thaw downwards by another 25 centimetres. Peak snow accumulation will rise by 70 per cent, and snow cover duration will be shorter by nearly a month, causing the deeper snowpack to melt faster than now. “That will create a huge problem because spring runoff is projected to increase by 130 per cent, and peak streamflows will almost double,” Krogh said. The study investigated the effect of future climate and vegetation changes on the hydrology of Havipak Creek, which crosses the Dempster Highway near the Inuvik Airport. The creek area along the tundra-taiga (northern boreal forest) transition zone was chosen for study because it has a history of hydrological studies by Dr. Phillip Marsh (PhD) of Wilfrid Laurier University and Environment and Climate Change Canada’s National Hydrological Service. Pomeroy and Krogh last year analyzed trends at Havipak Creek since 1960 and found that evaporation and soil moisture had declined and streamflows had reduced despite the climate warming and the permafrost thaw increasing. “However, the dramatic climate changes anticipated for the 21st century are so severe that the hydrology of the Western Arctic will intensify, with increased snowmelt rates, flooding, and thaw of permafrost,” said Pomeroy. The study is the first of several being conducted by GWF to better predict Canada’s future water supply, quality and management under climate, development and ecosystem changes, and to develop a national flood, drought and water quality forecasting system, Pomeroy said. A Chilean government scholarship, GWF, Changing Cold Regions Network, NSERC, Canada Research Chairs, and Yukon Environment funded the study.